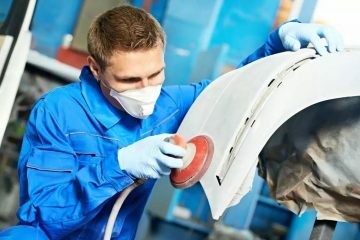 Car Body Repairs Leicester - Lowest Price Guarantee! Our team have over 20 years of experience repairing cars of all models, modern and classic. We take great pride in completing every repair to the best of our ability and have confidence in our skills and experience. We have painted all types and models of cars, from classic cars that need special care to modern cars with intricate designs all over them. We use quality car paint to reduce the risk of rusting and bubbling. Over time scuffed paint builds up and the overall paint of your car may begin to look lifeless and you want to bring it back to its original shine. We use different methods to completely remove the dent depending on the how deep and severe the dent it. We fix almost 99% of all dents! We are trained specialists for car body repairs in Leicester and are able to remove car dents within small timescales, so you can have your car back as soon as possible. We analyse and evaluate the depth and scale of the dent so we can ensure we use the most appropriate method and avoid extra cost for you. If you want to respray your entire car due to an accident, a new design or want a whole new look then look no further Dent-Alert. 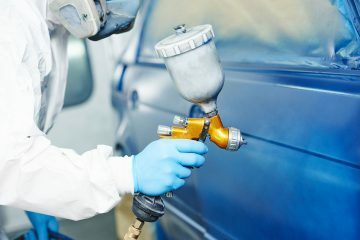 We have many years of experience in car spraying of all models and types and promise a superior finish. We only use quality products that have a low risk of rusting after a short period of time and also will not begin to bubble. Our team have expert knowledge in wheel fitments and materials that are used in alloy wheels. We understand how important it is to have your alloys looking pristine as you wheels are the not only one of the most important parts practically, but alloys make the car look like unique and stand out from the crowd. Dent-Alert has multiple years of experience in car alloy wheel refurbishment back to their original shine and glory. From minor scruff to large-scale scratches, there is no scratch too big or impossible for our team. We have a wealth of experience providing car scratch removal both on site and using our mobile car body repairs in Leicester for affordable prices. We ensure to match the colour of your car in within few hours; we’ll have it look brand new and immaculate quality. Car detailing is the process of a high level of valeting, which involves a thorough clean, polish and wax of the vehicle inside and out. Dent-Alert carrying out professional car detailing which is guaranteed to roll back the years of scuffs and damage to your car. We can rejuvenate any lifeless paint and have your upholstery looking brand new and fresh. Dent-Alert not only offer reasonable and affordable prices for their multiple services for car body repairs in Leicester, but we also provide you with a FREE quotation on any of our services. You can give us a call or come by onsite and we will answer any questions you may have. Our friendly team is happy to run through the process we would undertake and give you a suitable time scale so you can have peace of mind. We understand that a car may be required on daily basis to go to work, university or to run errands. Dent-Alert provides onsite repairs for those times when you are passing by and need something urgently repaired. Furthermore, we also offer mobile car repairs in Leicester so you do not have to worry about driving out to our garage. Simply give us a call and we will come to you as soon as possible wherever you are, at home, work or after an unfortunate hit in a supermarket car park, no place is impossible for us. We have faith and assurance in the quality of our work and our team’s ability to complete every task to perfection. So confident, that we offer a lifetime free repairs warranty to all of our customers. If there is the rare occasion that something goes wrong, for example, a paint job begins to bubble, and then we are more than happy to redo the task for no extra charge at all! Dent-Alert has over 20 years of experience in the automotive sector offering their services for everything from car detailing and scratch removals to car dent and car body repairs in Leicester. You can rest assured that your car in the safe hands of professionals who are not only skilled but are passionate in what they do. If you happen to get into a car accident you may agree to have your car repaired through your insurance company or independently with a garage. Dent-Alert are able to take on the repairs for both circumstances, so if you do choose to go through your insurance company, we will undertake work for any insurance company happily.